The RAR format is a popular proprietary file type for data compression. 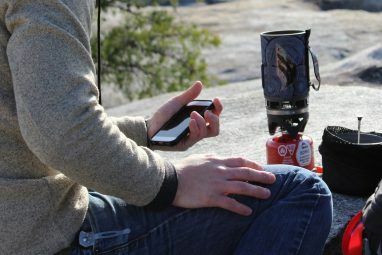 While you probably work with RAR files on macOS and Windows more often than your phone, sometimes you need tools for when you’re on-the-go. 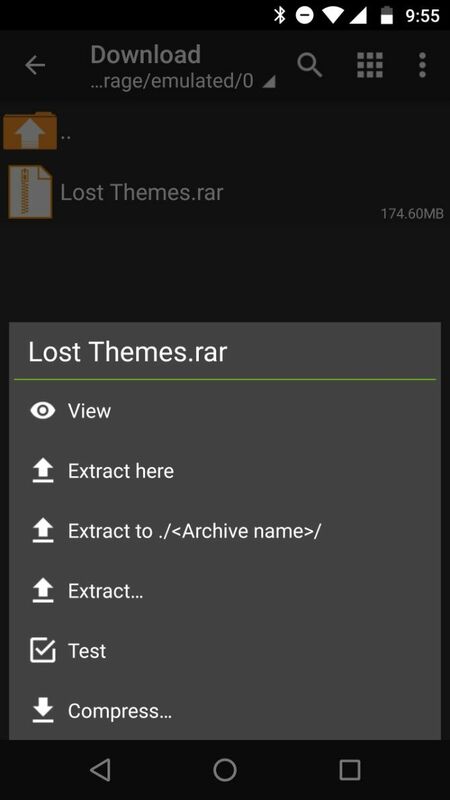 Check out the best RAR file extractors for Android below. 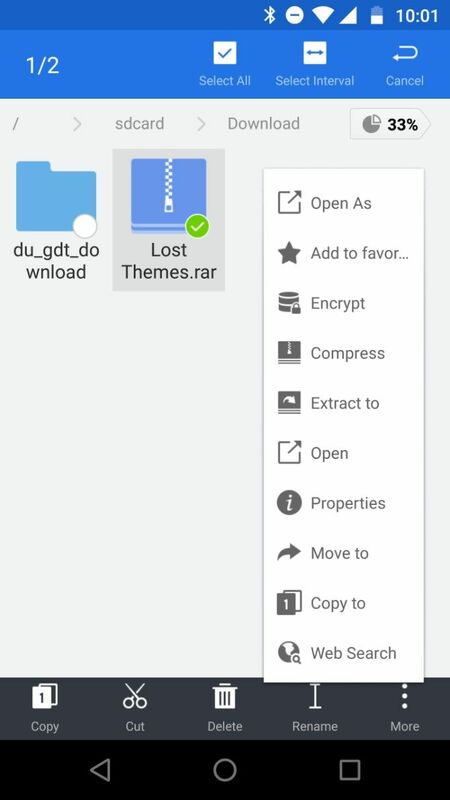 Why Use a RAR File Extractor for Android? While you probably don’t prefer to work on your phone or tablet, you might use it to manage files in a pinch. Since RAR is a common format, you’ll likely need to extract RAR files How to Extract Files From ZIP, RAR, 7z and Other Common Archives How to Extract Files From ZIP, RAR, 7z and Other Common Archives Were you ever faced with a .rar file and wondered how to open it? Fortunately, managing ZIP files and other compressed archives is simple with the right tools. Here is what you need to know. Read More on your Android, or wish to compress files into a RAR container. These apps are useful for both extracting and compressing files. Often when traveling, I use my Samsung Galaxy Note tablet as a laptop. 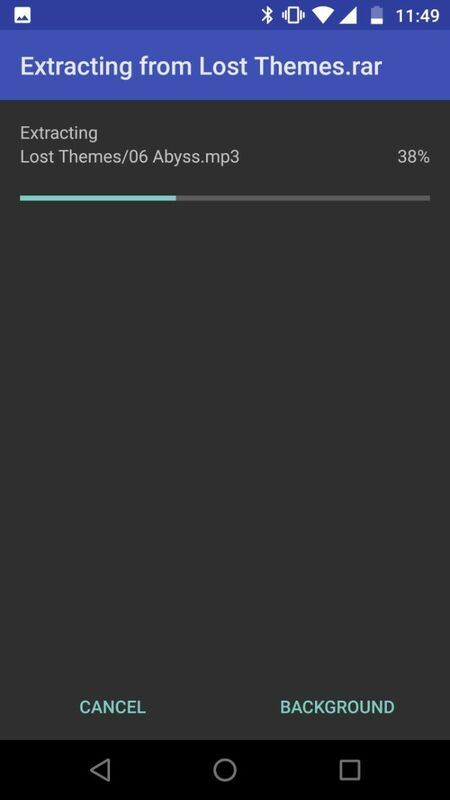 Having a RAR opener on my device proves incredibly useful. 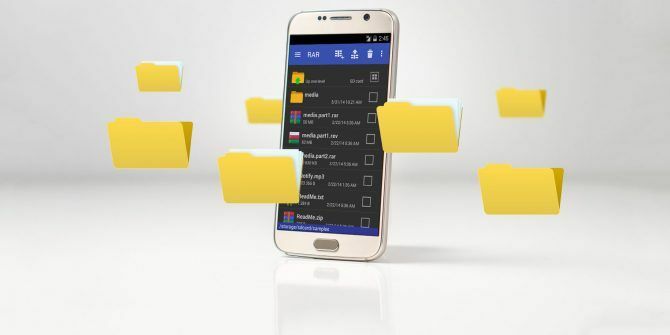 There are loads of RAR apps you can download on Android. Most options are free, though only a handful are completely free. 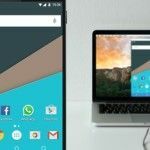 Often, RAR extractors for Android operate on a freemium model Why You'll Never Stop Seeing Ads & IAPs in Mobile Apps Why You'll Never Stop Seeing Ads & IAPs in Mobile Apps Advertisements and in-app purchases in mobile apps and games can be really annoying. Unfortunately, they won't be going away any time soon. Here's why. Read More with paid upgrades adding premium features and removing ads. For determining the best, I focused on a mix of features as well as the number of ads. If you’re like me, perhaps you’re fine with substantial ads so long as an app is packed with features. Yet ads can be pretty annoying, so our criteria for the best balances robust capabilities with the fewest ads. Let’s start with the top choice for RAR file management. ZArchiver is completely free, a rarity among Android RAR openers. Its decluttered interface is easy on the eyes and ad-free. With ZArchiver, you can create archives including 7z, ZIP, XZ, and GZ. For extraction, it’s able to decompress everything from RAR and 7Zip to DEB and ISO files. Plus, you can view archive contents without actually extracting them, and even edit the contents of archives by adding or removing files. Moreover, ZArchiver doubles as a solid file manager. 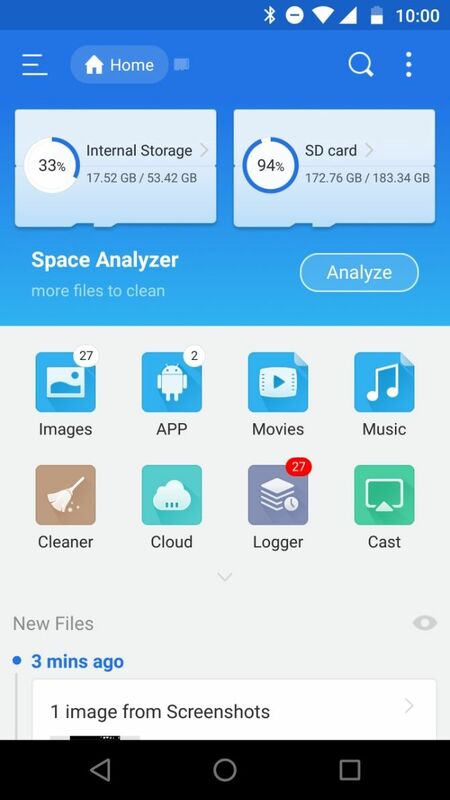 This makes it a multi-functional app worthy of your precious storage space. 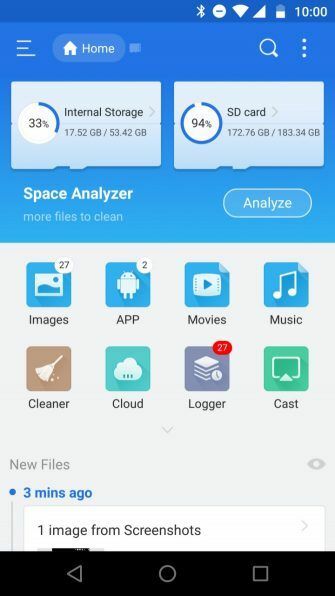 Delivering excellent features and remaining free of advertisements, ZArchiver is the best Android RAR opener you can download. ZARchiver handily wins as the best RAR file extractor for Android. But it’s far from the only option. A quick search for these apps on Google Play yields loads of results. 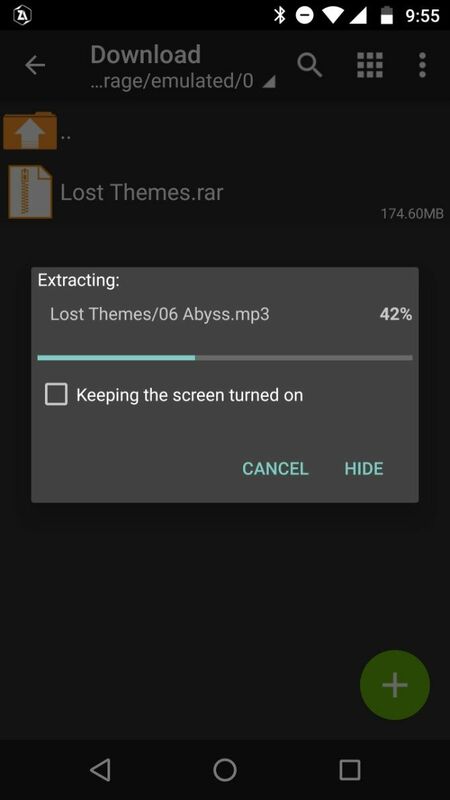 These are the best alternatives to ZArchiver for Android. 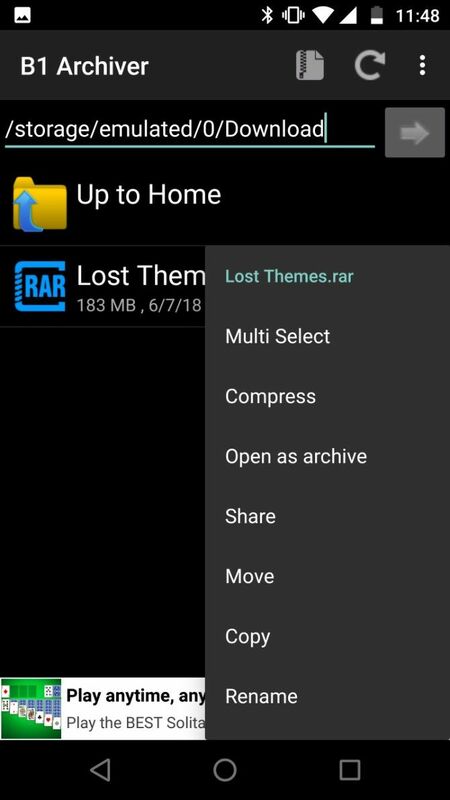 From RARLAB, the developers of WinRAR, comes the aptly named RAR for Android. 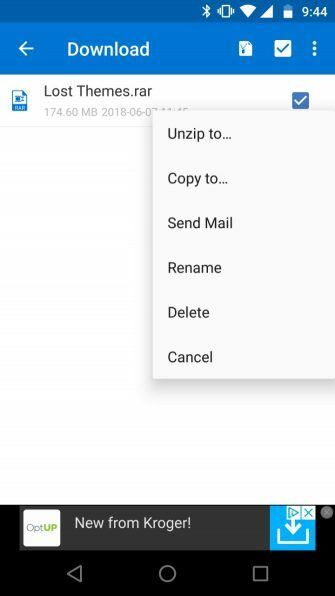 With RAR, you can create both ZIP and RAR files. Additionally, this free RAR file extractor can decompress TAR, XZ, ISO, ARJ, and 7z files. You can also unzip niche formats like ZIPX, PPMd, and LZMA. Onboard, you’ll find utilities for volume recovery and encryption. With its simplicity balanced by robust features, RAR is a top choice as an Android RAR program. RAR works well with multi-part RAR files and encrypted archives. 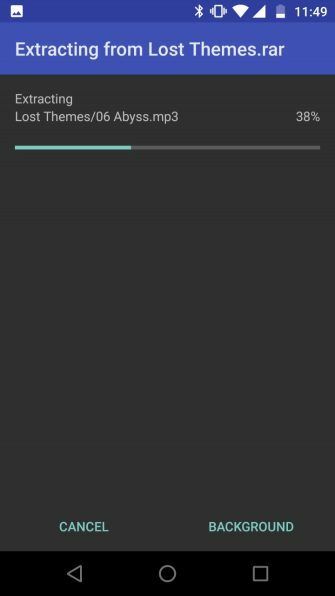 Though free to use, RAR for Android includes ads which are at times a bit bothersome. You can remove these via optional in-app upgrades, however. 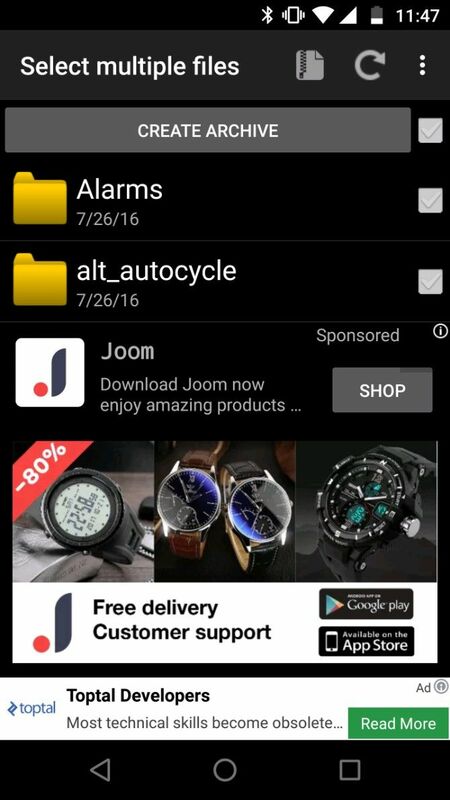 WinZIP for Android includes an interface that’s clean with minimal ads. Along with standard features for archive extraction and creation, it provides integration with cloud services such as Dropbox and Google Drive. This makes it easy to manage files even if they’re not stored on your device. I like the modern user interface and cloud integration. 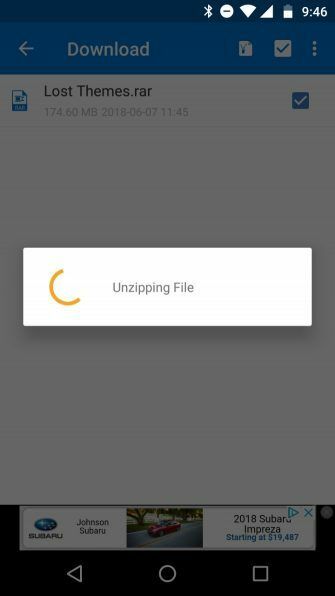 WinZIP handled any RAR and ZIP files I threw at it with ease. Though file compatibility isn’t as beefy as ZArchiver, cloud integration and a pretty look make WinZIP a worthy consideration. B1 Archiver sports compatibility with a total of 37 file formats including B1, ZIP, and RAR. Thus, B1 Archiver can handle virtually any format you throw at it. Aside from its file compatibility, B1 Archiver handles multi-part RAR files with ease. For encryption, B1 can extract password-protected zipped files. There’s even an option for extracting specific files for partial archive extraction. That’s handy for retrieving certain items from an archive instead of the entire contents. Navigation is simple, and the interface is intuitive. It could be the best RAR extractor for Android, but its plentiful (and sizable) ads keep it from the top spot. A paid upgrade does remove those ads, though. 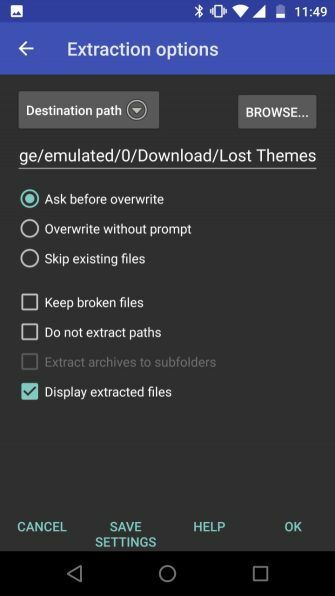 While dedicated Android RAR extractors work fine, many Android file managers also tout decompression capabilities. 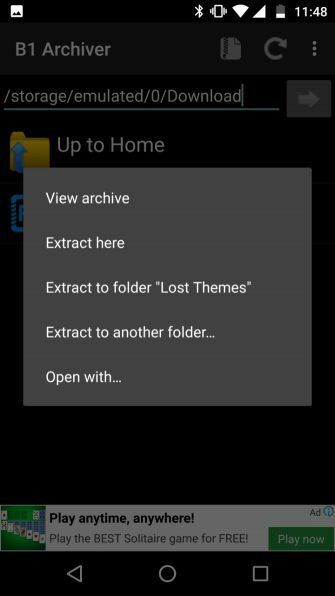 Of these, ES File Explorer is one of the most popular. 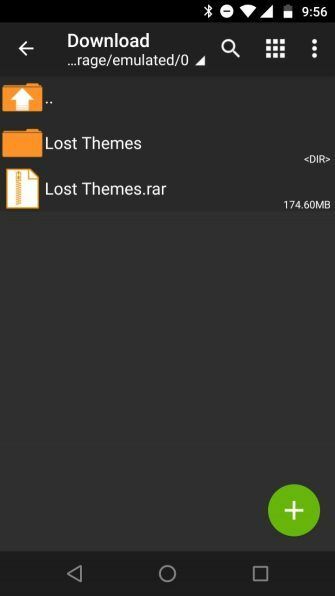 It’s one of the best file managers for Android ES File Explorer: Is It the Best File Manager for Android? 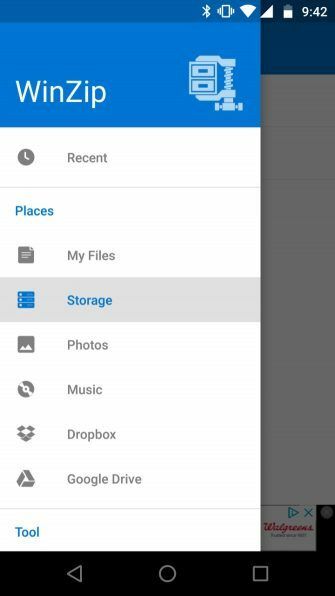 ES File Explorer: Is It the Best File Manager for Android? 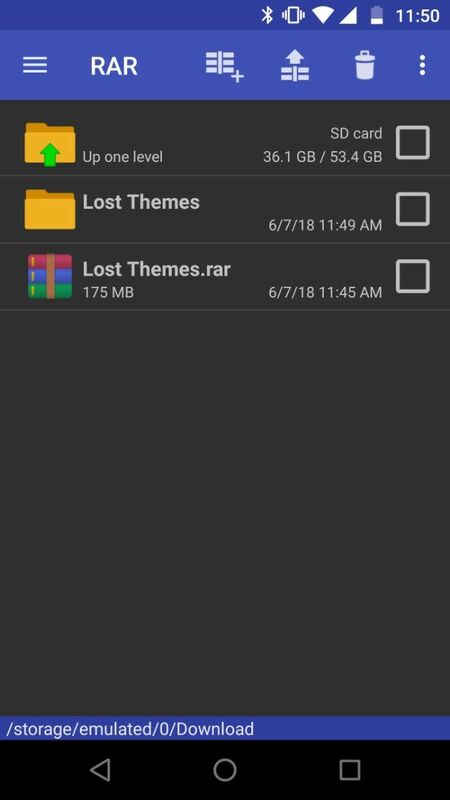 Is EF File Explorer the best option for viewing and managing the files on your Android device? Read More , and my go-to manager on my phone, tablet, and even Nvidia Shield TV Android TV box. 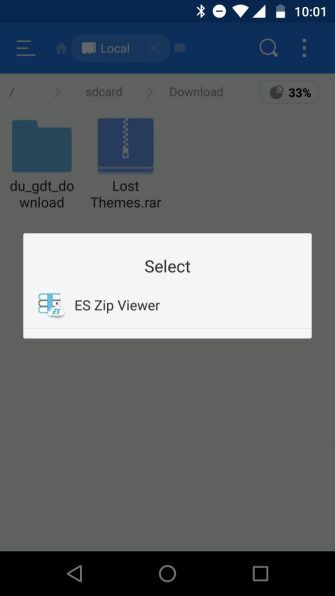 With ES File Explorer, you can preview what’s inside your RAR and ZIP files, as well as extract them. 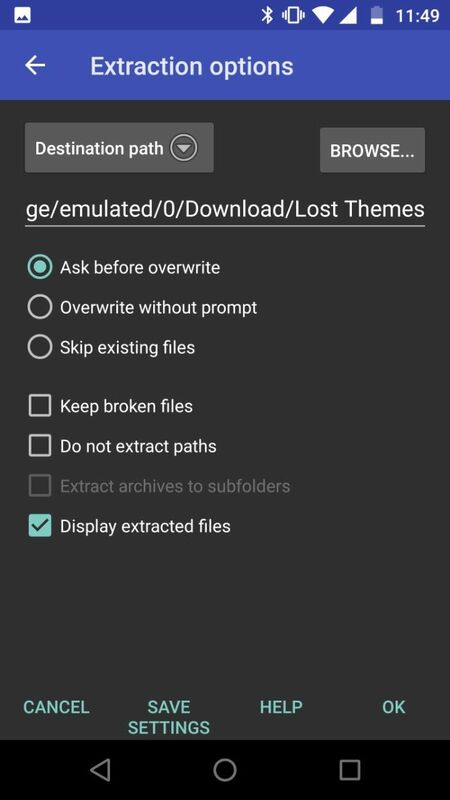 It might lack the file compatibility of B1 Archiver, but ES File Explorer is arguably the most utilitarian app here considering its capabilities beyond RAR extraction. It’s also one of the few file managers with networked drive support. It’s compatible with everything from FTP to Samba shares and more, making it a go-to file manager. You’ll just have to put up with ads or upgrade to the pro version to remove them. Generally, almost any RAR for Android extractor will work. However, we don’t recommend using paid apps like RAR Sharp Pro. 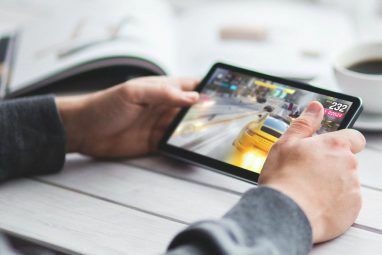 There’s no reason to shell out money for this task Save Your Money: 9 Apps You Shouldn't Pay For Save Your Money: 9 Apps You Shouldn't Pay For Some subscriptions are really worth the cost, but others you should cut out of your spending. Here are several popular subscriptions you can replace with free alternatives. Read More when you can simply download any of the many free or freemium Android RAR file extractors. If you’re willing to put up with regular ads, the above apps will work fine (don’t forget ZArchiver is free of ads). Most free apps offer a low-cost in-app purchase for removing ads if you can’t stand them. All of the above free RAR file extractors for Android will serve you well. My preference is ES File Explorer, since I require a file manager on my devices anyway. It’s rare that I need to extract a file other than a standard ZIP or RAR. Still, B1 Archiver is a nifty app I keep installed because of its whopping 37 file extension compatibility. Generally, stick to well-known Android RAR file openers. No-name apps with few downloads may bundle in excess ads or even malware. Most of the time, you’ll find superb free versions that provide paid upgrades to remove ads and add some features. For extracting RAR files anywhere, check out the best online RAR extractors The 7 Best Online RAR Extractors The 7 Best Online RAR Extractors Want to open RAR files online? Here's the best free online RAR extractor you'll find---no software required. Read More . Explore more about: Android Apps, File Compression, File Management.